Water Testing Willington CT. Certified Well Water Testing, Water Analysis and Water Potability Testing in and around Willington for FHA Mortgages, VA Mortgages, Conventional Mortgages, FHA Refinances, VA Refinances, Conventional Mortgage Refinances, Food License Renewal, Langlier Index, Certificate of Occupancy and more. 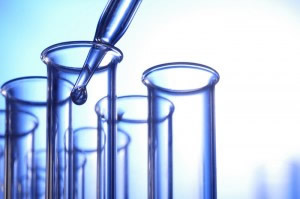 We provide customized water testing services to meet the unique needs of our customers. We offer testing services specifically designed to help homeowners determine the quality of their drinking water. Whether your water comes from a private well or city water supply, our water testing specialists will help you determine the quality of your family's drinking water. If you have a private well, especially, it’s up to you to have your water tested. Even though, you may not be required to have your water tested, annual testing will help insure safe, healthy water for your family. Independent testing specialists like ourselves don’t sell water filtration systems or other products. Our goal is to provide unbiased testing so that you have the most accurate results. When problems are detected, we can advise you where to get more information on what can be done to resolve the issue. Even if your well fits none of these categories, you cannot know the quality of your water without testing. Contaminents may have entered the ground without your knowledge or before you lived at the property. We are happy to answer any questions you may have. Schedule your water testing today! For an immediate quote call us at 888-558-1574. Water Testing Specialists Willington CT.